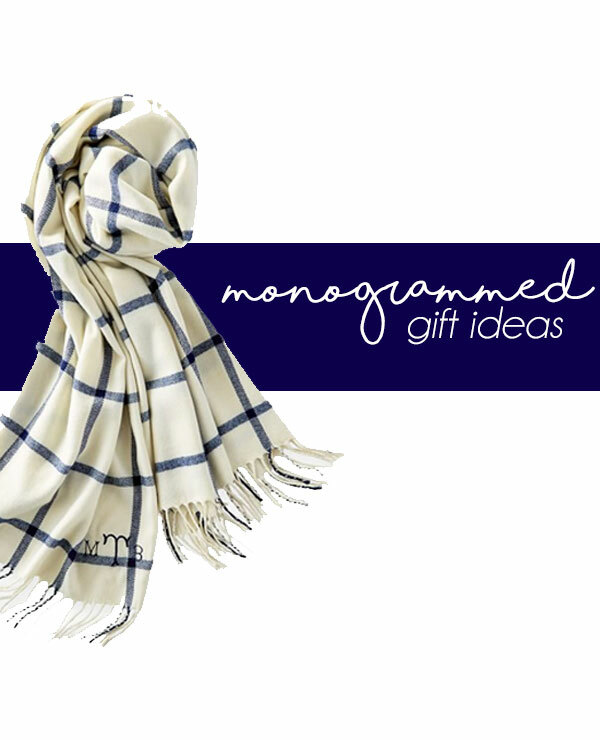 I'm kicking off my Holiday gift guides with my favourite category - monogrammed gifts! I love the idea of a personalized gift because they are more personal. Due to the nature of monogrammed items - it's always a great idea to get a head start on ordering them, so they are received in time for Christmas. Some monogram shops do take a few weeks to prepare the item, plus shipping time must be added to that as well. Just about anything can be monogrammed these days, but I personally love functional items like a fun keychain, weekender bag, or a cozy sweater. I know how much I would appreciate these types of items so I personally love giving them to friends and family. I rounded up my favourite monogrammed gift items to get you started on your Christmas shopping!